The Sims 4 looks to hit movie star celebrity status with its next expansion. Or at the very least, social media celebrity status. So far, the 21st century has been defined by vapid celebrities and the desire to reach vapid celebrity status. EA and Maxis are aware of this, which is why The Sims 4 is introducing a new expansion pack centered around the idea of going viral and attaining the highest level of fame. The Sims 4's Get Famous expansion is all about hitting superstardom. Sims can move to Del Sol Valley and embark on an acting career, taking part in auditions for commercials or TV shows. But if that sounds too "20th century," Sims can also become influencers by getting into livestreaming and social media. They might even get to meet the Sim version of Baby Ariel, who I assure everyone is a real person. Yes, she's someone who reached fame by singing on social media and can be found performing "Aww" in Simlish in various places across the game world. 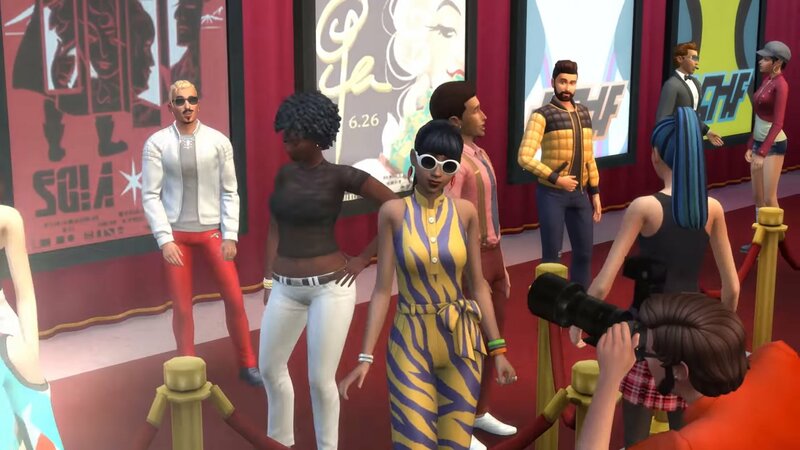 The Get Famous expansion will also include new housing and clothing options, including starter studios fit for all sorts of starving artists and hillside mansions befitting of true celebrities. Look for the Get Famous expansion to hit the PC and Mac versions of The Sims 4 on November 16. No word on a console release at this time.